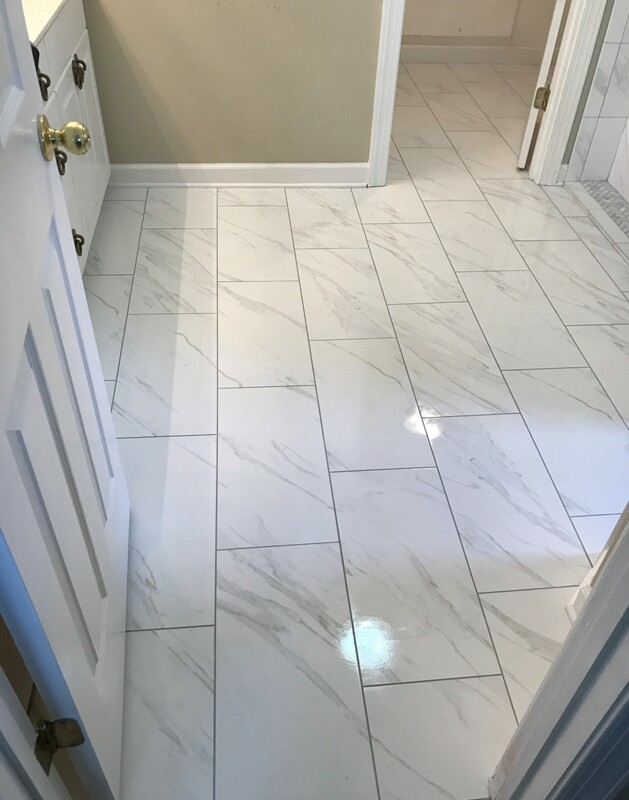 Done by Destin Elite Tile! 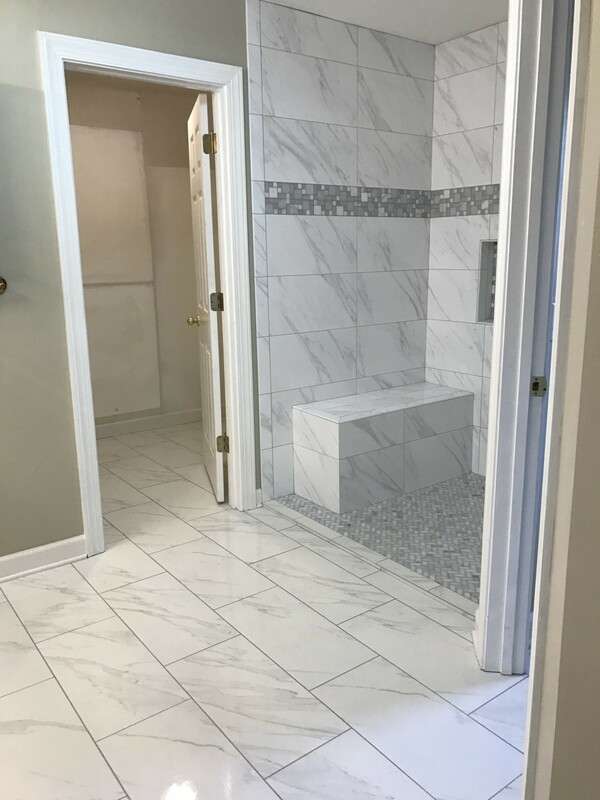 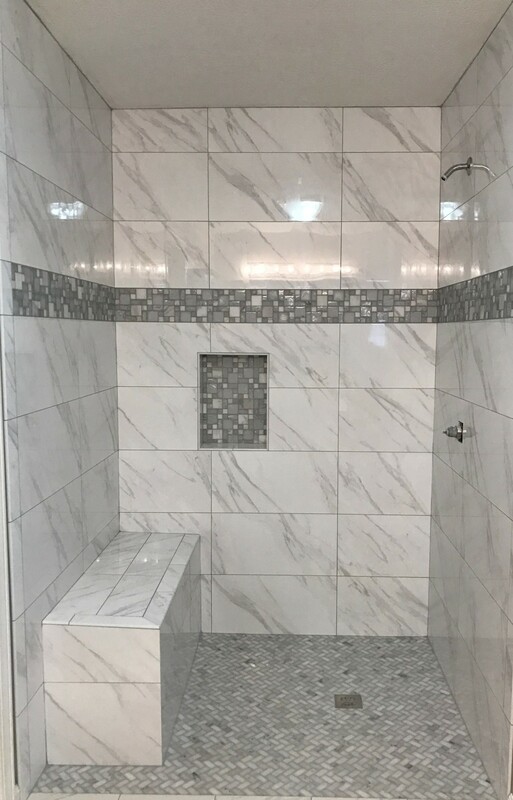 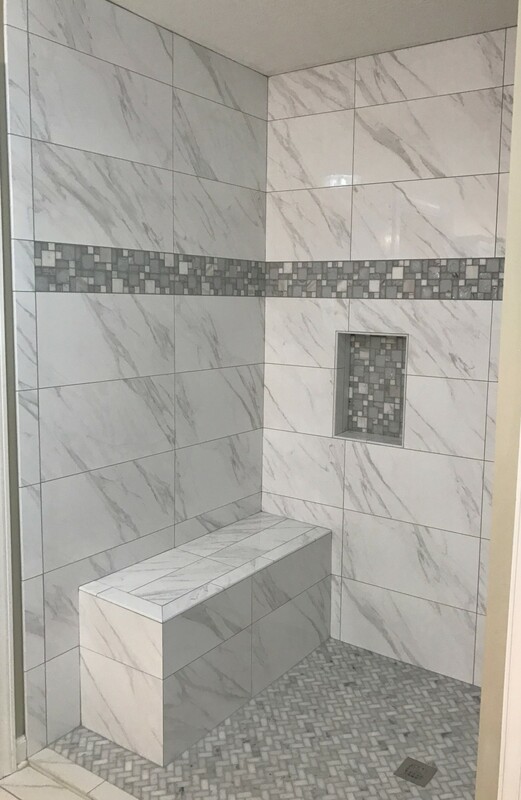 The customer chose to use this stunning 12×24 tile with soft gray veining. 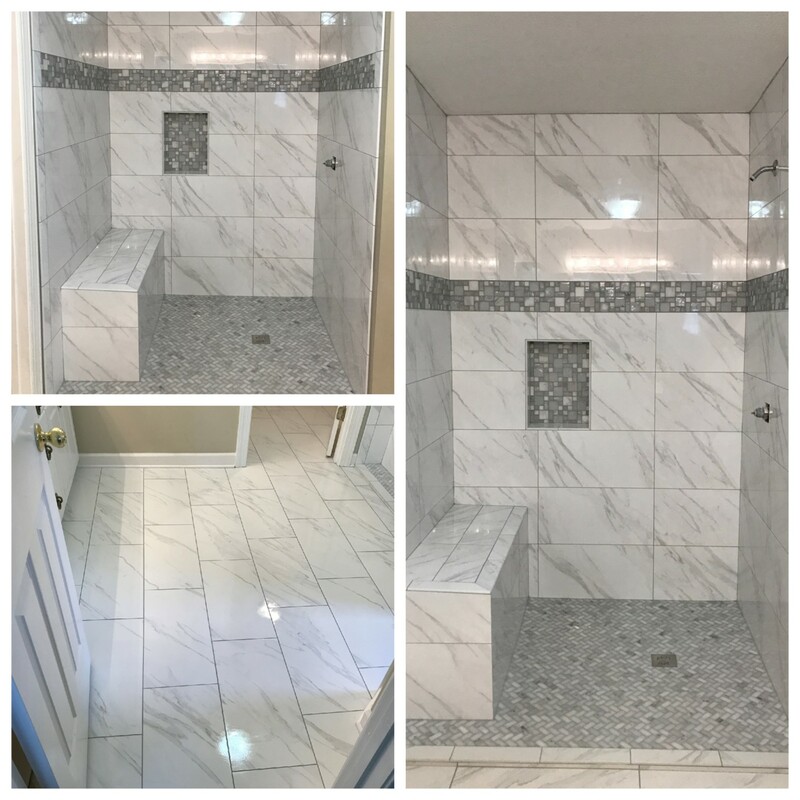 Adding the unique pattern mosaic band and the honed carrara herringbone marble added depth, warmth and richness to this bathroom.